©2013 Courtney Eldridge (P)2013 Brilliance Audio, Inc. While I ended up kind of appreciating what Ghost Time tried to do, I really cannot recommend it to anyone. Ghost Time commits the cardinal sin of YA literature - it spends its entire (and frankly excessive) length setting up a series rather than focusing on being a compelling, worthwhile read within itself. Several mysteries are established and many, many characters are introduced only for the book to end on a cliff-hanger….and the second in the series isn’t due for publication until TWO YEARS after the first! This indulgent and self-important attitude towards reader experience seemed to permeate the novel with its meandering pace and disengaged tone. 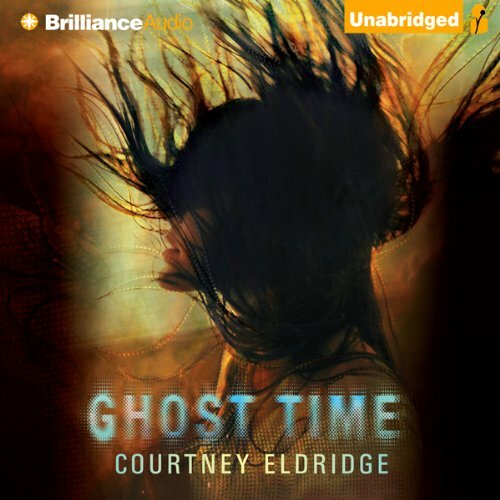 As I said, I didn’t mind Ghost Time in the end but it was a hard fought battle to get there and I doubt I’ll have the patience to sit through the next book if/when it ever arrives. Finally, I strongly recommend checking out an audio sample or maybe picking this up in paperback if you do want to check it out. The language is intolerable, especially at the beginning. And he was like, right, you know? “Right,” he said. Yes, that is literally how it reads – every sentence punctuated with rights, txtspeak, you knows and other verbal ticks. And for some reason the author has all the characters ‘think’ what they’re going to say and then still put it in as dialogue immediately after! So I’m going to tell you I don’t recommend this book, “I don’t recommend Ghost Time,” I say.